I obtained a DBA with my brother in law to form a drywall business. I found out that he was doing some things that weren’t right by me (keeping funds for his own use vs paying the material bill with the funds). I want to be rid of him. He is forming a bad name for me with less than perfect work, not to mention the embezzlement! How do I remove my name from a business partnership / DBA and get my own? I would like to become an LLC. Do you two have a written partnership agreement, or are you simply doing business together? Assuming you have a written partnership agreement, you can follow the procedures therein. Otherwise, as “de-facto” business partners, you’re going to have to determine what your state’s requirement is for revoking a DBA. Some states have no dissolution requirements. You will want to notify the IRS and close the EIN account. There may also be a state registration that should be closed as well. Remember that a DBA is just a way of officially “renaming” an already existing business entity. For sole proprietors, the DBA is “renaming” themselves. John Smith becomes XZY Dry Cleaning. Moreover, a DBA can also be used as an official alternative name for an entity like a general partnership or corporation. For example, Jack & Jill partnership can be DBA’d to a business name like Superior Water Fetching. You should examine the DBA filing and figure out if the filing was under your name, your brother’s name, or both names as a partnership. DBAs are typically filed with the county clerk and occasionally with the Secretary of State where the business is filed. You’ll also want to remove your name from any bank accounts for the business and remove your business partner from access to any of your bank accounts. You’ll also need to inform, in writing, all of the vendors you use that you will no longer transact business as a part of the partnership and that you are not liable for any orders your former partner places in “your name”. The legal concept is called “apparent authority”. If you and your partner have held yourself out to the public as being a partnership, then if your partner orders supplies, you are going to be liable. The only way to protect yourself is to send a letter (keep a copy for yourself) to each supplier and tell them that you have dissolved the partnership and that your former partner cannot place any orders in your name, and that he has no authority to act on your behalf and that you have withdrawn from the partnership. That letter would destroy any expectation in a supplier’s mind that you are agreeing to be liable for these orders. General partnerships are dangerous because if a partner goes “rogue” and starts buying things in the partnership’s name, and then doesn’t pay the suppliers, the other partner is personally liable. If you have a big line of credit, this could be tens of thousands of dollars. Unlike someone slipping and falling at your store, there is no insurance you can buy against a partner’s illegal activities, and this happens more often than you think. There have been many lawsuits between and among partners–both when times are good (each wants a bigger share of the pie) and when times are bad (each points the finger at the other as the cause of the problems). My husband and I are partners in a LLC co. I will be 62 years old next year and plan to file for my social security. I need to remove my name from the ownership of the llc, so that the income will not be charged to me. I understand in GA, a withdrawal form is required. There are several factors that may impact the amount of retirement benefits. Social Security benefits will not be reduced no matter how much you earn once you reach full retirement age. If you were born 1942 or earlier you can receive full Social Security benefits at age 65. If you were born between 1943 and 1960, full retirement age increases incrementally until the recipient reaches age 67. After attaining age 66, you can earn any amount & still collect full Social Security benefits. As an example, if you file a joint return and both you and your spouse are past the full retirement age and a combined income of between $32,000 and $44,000 is reported, you may have to pay income tax on as much as 50% of your benefits. If your combined income is more than $44,000, as much as 85% of your benefits may be subject to income taxes. To maximize after-tax income if you are a single individual (or head-of household) you would want to keep your earned and unearned income plus one-half of your Social Security benefit under $25,000 total. If you are married, you would want to keep the same resulting jointly computed figure under $32,000. This would keep any of your Social Security benefits from being taxable. There is no requirement to list members and managers with the Georgia Secretary of State so there is no filing to change them. The only filing you may have to do is if you are the registered agent and that change would be made with the annual registration. Can I Get Out Of An LLC And Leave My Partners? I believe I am listed as 50% owner in a business that is falling apart. We have nothing in writing except for our articles of incorporation that list me as director below the husband (vice-president) and the wife (president). We had verbally (in front of their friend, our accountant) agreed to pay me $80,000 per year plus split the remaining profits. In 2008 they have paid me a total of approx $24,000 and spent the rest on paying down loans, lines of credit, etc and leave nothing for me to live on. I told them they need to pay me and they say there is no money, but yet pay our front office manager more than me in 2008 and have given her bonuses on top of that. I have decided to take a paying job as an employee so I can support my family. Is there anyway I can get out of this LLC if they refuse to sell the business to my new employer? First, you’re going to need to speak to an attorney in Wisconsin (I’m assuming the LLC is a Wisconsin LLC and the other members are Wisconsin residents). Depending on Wisconsin law and what is written in your LLC Operating Agreement (if you have one, that is), you might be able to exit the LLC by filing a few forms. The formal term for exiting an LLC as a member is called “withdrawal”. It could also be that you are a director without actually being a member of the LLC. In that situation, you can probably simply resign as a director. You’ll have to check the LLC’s operating agreement and/or Wisconsin law to see the procedure for a director resigning. In order to recover the compensation you say you are owed, you’re probably going to have to sue. Given that you only had a verbal agreement, your lawsuit will be more expensive to prosecute and the chances of winning slimmer. This is why people need to have written operating agreements. If you need additional customization, you can take this document to a local lawyer familiar with closely held businesses and he/she can work from it. You will more than make back the $99 spent through savings in legal expenses by not having your attorney start from scratch. Even if you’re simply working for an LLC, and not a member, you need a written agreement. Everyone out there reading this, please learn from this reader’s experience–get business done in writing! When you by $5.00 worth of batteries at Walmart, they give you a written receipt. But when people do deals involving tens of thousands of dollars, they do it verbally. You should first execute a written amendment to your written Operating Agreement to show the changes in ownership. Next, depending on your state, you might be required to file Articles of Amendment with your state. 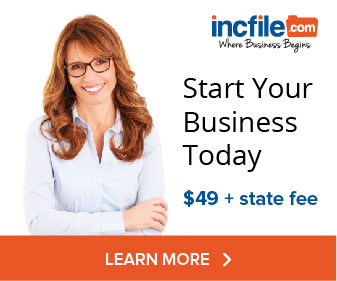 Illinois does not require an LLC to file Articles of Amendment when the LLC’s members change. However, Illinois does require annual reports to be filed, and on those annual reports, it asks for the names of all current members. During next year’s annual report, you will report the change in the number and identity of the members. The term for “winding up” your single member LLC is called “dissolution”. If the LLC has been dormant and not transacted business, then you would simply file Articles of Dissolution. 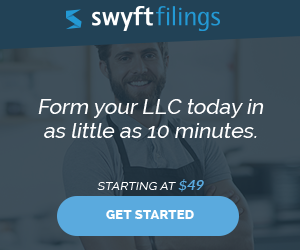 How To End An LLC ? We recently started an LLC for our club, so as we could raise funds legally. turns out it is costing us more money and time to have the LLC and now want to close down the LLC and just go back to running our little club. It has only exisited for 60 days if that, it is a two member LLC too. But it seems as a small club, there is alot of paper work and tax prep. fees and we do not even have that kind of money. So how do we legally end the LLC and do we need to file federal tax papers for 2008 if it only existed for only 60 days and we have not made $1.00? If you lost money, then absolutely you want to report your losses to the government because you get to take a deduction and at least recover some of those losses in tax savings. Have all the members of the LLC agree to the dissolution. If you cannot get unanimous agreement to dissolve the LLC, then you must resort to the operating agreement’s provisions regarding how big a majority of members you need to agree to the dissolution. The members agree to dissolution in writing. Pay all creditors of the LLC what they are owed. File formal articles of dissolution with the state. You can probably find the right forms searching the New Jersey secretary of state pages and fill them out yourself. New Jersey charges $100 in state fees to file an LLC dissolution (remember to report this as an expense so you can deduct it, along with all your other business expenses). What Is My Personal Liability If The LLC Goes Under? What are my legal rights if my business is failing and I owe advertising expenses? Can they attack my personal credit and can I be held liable with no income? Whether you are personally liable for your LLC’s debts, including an advertising contract, depends on the contract itself. Who are the parties to the contract–the LLC or you personally? Did you personally guarantee the LLC’s performance of the contract? (This is unusual for typical business purchases, but more common when a bank is lending money to an LLC and when the LLC is entering a lease). Most business credit cards that are issued to new businesses require the owner’s personal guarantee. A personal guarantee of a debt means that you are liable. Look carefully at your credit application–if it asked for your personal social security number and other personal information, the fine print probably obligates you to pay. Business owners can also be personally liable for unpaid withholding taxes on employee wages/salaries. If you have employees, you need to use a reputable payroll service. Withholding taxes are not your business’ piggybank! So many businesses get in trouble trying to get through a rough patch by “borrowing” from withholding taxes. Your business is far better off borrowing from a business credit card or line of credit than trying to borrow from withholding taxes, hoping to get the money back by the end of the quarter. As to the second part of your question, can you be held liable and what if you have no income? You can be personally liable if you personally agreed to pay the charges (see above). In order to enforce that liability, they must sue you, prove their case and get a judgment. In order to collect on that judgment, they need to find assets of yours. If you have no assets and no income, the judgment will be difficult to collect. If you declare bankruptcy, the judgment will be eliminated after the discharge (they may receive some return on their debt, depending on what happens in bankruptcy). If you have been sued personally, see an attorney. It’s possible that they have no claim against you and it can be dismissed. If they have reported this debt to credit agencies on your personal credit, and yet you are not personally liable, you need to contact the credit agencies and have them correct your report. Whether these vendors are vindictive or simply uninformed, any damage done needs to be fixed. How Can I Resign From A LLC? Myself and another person wanted to open a restaurant. We applied for an LLC and a Hotel and restaurant license. I had some trouble with financing and decide to step out. The other person is still in the process of opening the business. I need to know what to do as far getting my name off the LLC and rest. license so I am not liable for anything. I think you’re going to need to see a Florida attorney who is familiar with small business issues in order to properly disassociate yourself from the LLC. Dissolving the LLC entirely is simpler than removing yourself as a member. The process for removing a member depends on both state law and/or the contents of the LLC’s operating agreement. When choosing your attorney, you need to realize that attorneys specialize. You need an attorney who specializes in closely-held business matters. Understand that merely being a member of an LLC will not make you liable for the debts of the LLC. In fact, that’s the main purpose of creating such an entity. Therefore, supposing the other members go and borrow money for the restaurant, and it fails, the mere fact that you’re a member won’t make you liable on the loan. In practice, when the LLC attempts to borrow money, the bank will want personal guarantees from all the members. When they ask for your guarantee and you refuse, they will have to deal with letting you resign as a member or lose the loan. It is an excellent point of leverage for you in that situation. I filed an LLC in Florida. I am the managing member and another person is a member and the registered agent. I no longer wish to have this LLC since I moved and other person has moved. I don’t know where he is. Can I dissolve this or remove my name from the LLC without other person’s signature? Without a court order, or a resignation of the other member, I doubt you can dissolve a Florida LLC without all the members’ consent. You can withdraw (resign as a member) from the LLC, though there might be restrictions based on what’s in your operating agreement. A member may withdraw from a limited liability company only at the time or upon the occurrence of an event specified in the articles of organization or operating agreement and in accordance with the articles of organization or operating agreement. Notwithstanding anything to the contrary under applicable law, unless the articles of organization or operating agreement provides otherwise, a member may not resign from a limited liability company prior to the dissolution and winding up of the limited liability company. I you think you might be exposed to significant liability, speak with a Florida attorney.